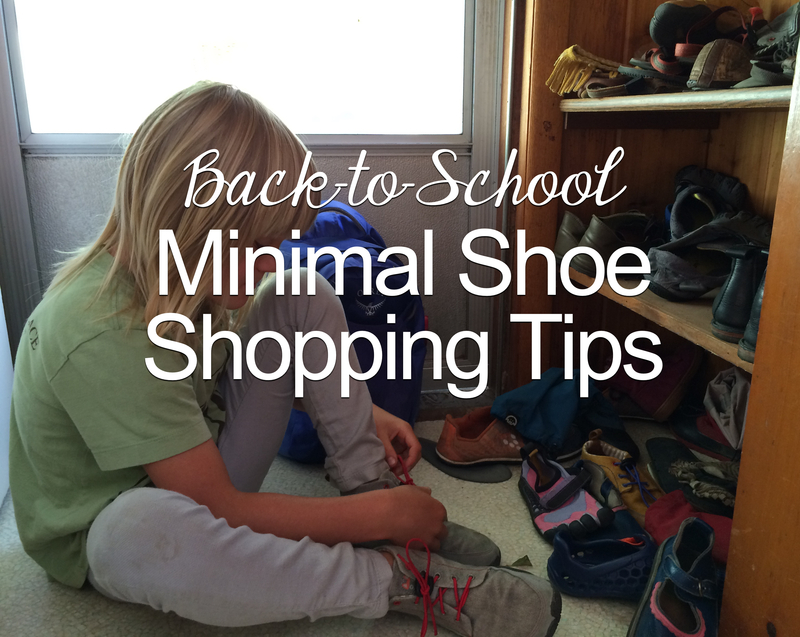 #1 The best time to try on shoes for fit is at the end of the day, specifically after you and your kids have been up and moving around for a couple hours. Your feet change size throughout the day, and depending on use. Fitting your shoes to early morning feet (after you’ve been laying down) or after work feet (after you’ve been sitting for hours) can skew your foot size. If you’re purchasing footwear for exercise, sizing your feet right after the bout of exercise will give you the best sizing data. #2 Step on a piece of paper, spread your toes away from each other, then trace your foot. THIS is a width of your foot that your foot should be allowed to achieve while moving. Your shoes are likely to be too narrow for your foot. Keep this piece of paper in your wallet and before you buy a pair of shoes, set the shoe on top of it to see if your shoe is actually too small for your foot to do its foot thang. Buy a pair of water (swim/pool) shoes at the beginning of the year, and again mid-year. Water or pool shoes are super inexpensive (typically less than $14.00) and you can get at least two pairs throughout the year, accommodating foot growth. They’re fine for wet-ground walking (not great for puddle stomping) and paired with some wool socks, my kids are happy even in really cold weather, as long as it’s not currently raining. These are the most affordable, easily findable, and water-resistant minimal shoes I’ve found for children. I got these at a thrift store for $0.99 last week. INVEST in a pair of well-made minimal shoes slightly later in the season, as late as November if you can get away with it. My kids’ feet tend to grow more rapidly in the summer and slower in the cooler seasons (from what I've observed). Winter shoes tend to last them the full season, especially when I buy late Fall. There are also many brands that carry styles that have the minimal features I'm looking for (see my list of features below). I have found great options at Minnetonka, Livie & Luca, and on the website Happy Little Soles. If you're able to, I highly recommend a trip through this magical place. 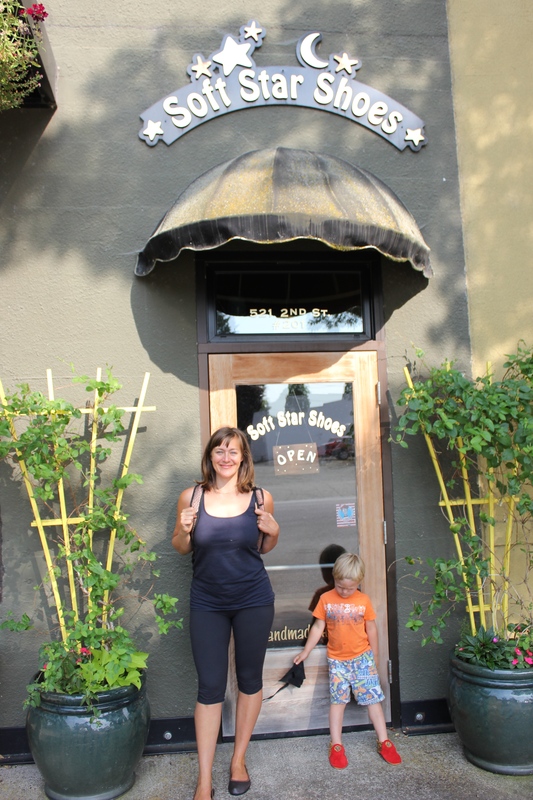 Note: The shop was very neat and tidy (I SAID IT WAS MAGICAL!) when we got there. 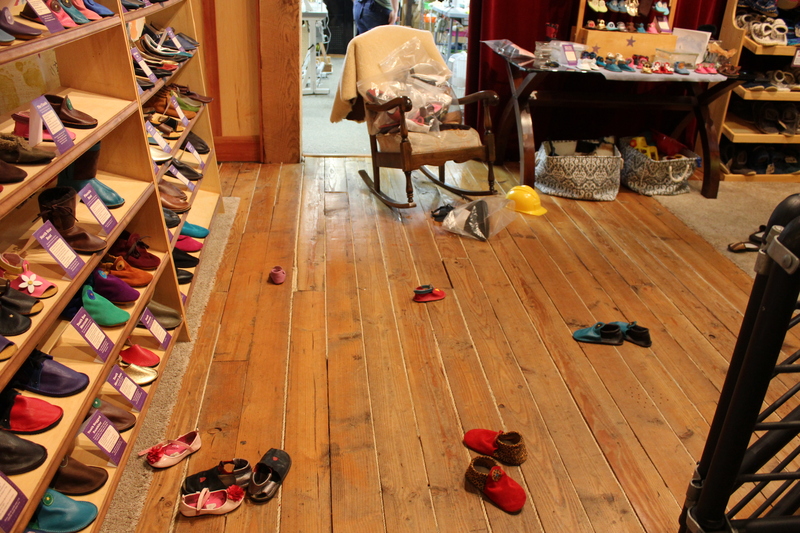 We promptly tried on 127 pairs of shoes when we got there, which created a sort of post-tornado look to the place. Yes, we cleaned up after ourselves before we left. 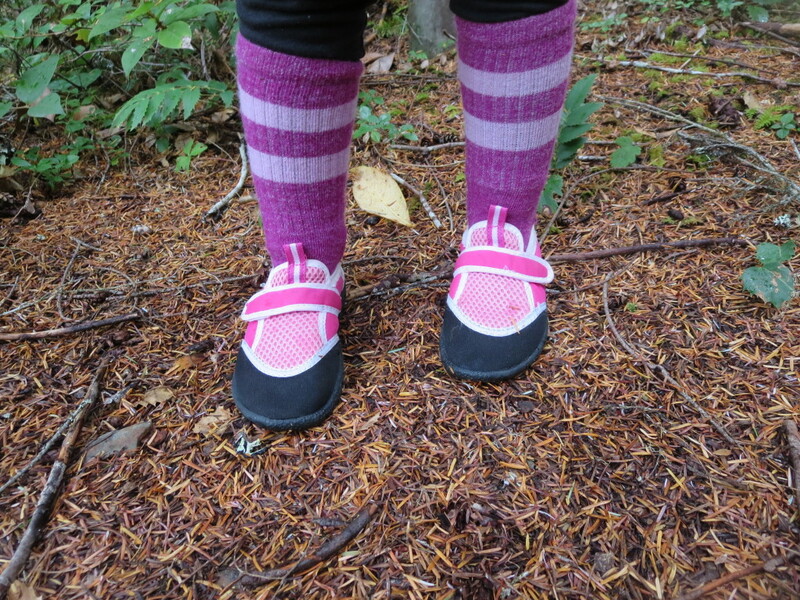 "I live in a Maritime province that has seen some brutal winters in recent years and my kids and I basically live in our Softstar Phoenix boots from late October to May, except when it's rainy out (they're fine in slush if we keep up with the waterproofing). Until it goes below about -15°C, we don't need socks, and with wool socks we've been comfortable down to around -30°C, at which point we sensibly hibernate." Pair minimal footwear with barefoot exercises. Minimal shoes offer more movement than traditional ones, but you’re still shod. Foot-strengthening exercises are great, but telling kids, “Hey, guess what, we’re going to do some foot exercises, aren’t you excited! ?”— rarely works; and throwing a “Foot Exercise!” themed birthday party might be a dud, even if you get a huge foot piñata. What kids DO like are obstacle courses. 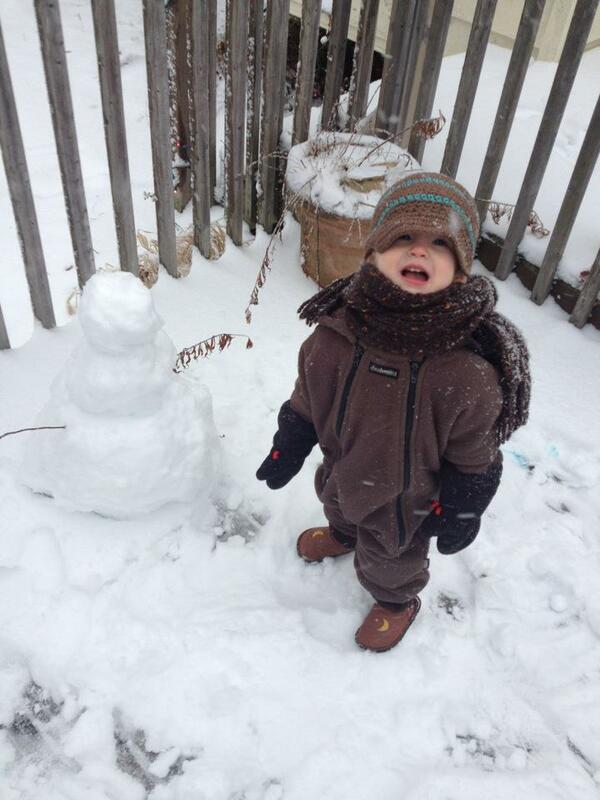 Create sensory paths, balance beams, and pillow trains and get your family move on, even if it’s freezing outside. Especially when it’s freezing outside. You know who else likes obstacle courses – adults! Teach them about their feet. If you homeschool or teach health/anatomy/basic science at a traditional school, add a unit that covers one quarter of your body: the feet (calculated by number of bones and muscles). I’ve prepared one for you here. You can also go through your closets together to see if your kids are wearing heels. Learn about your own feet. 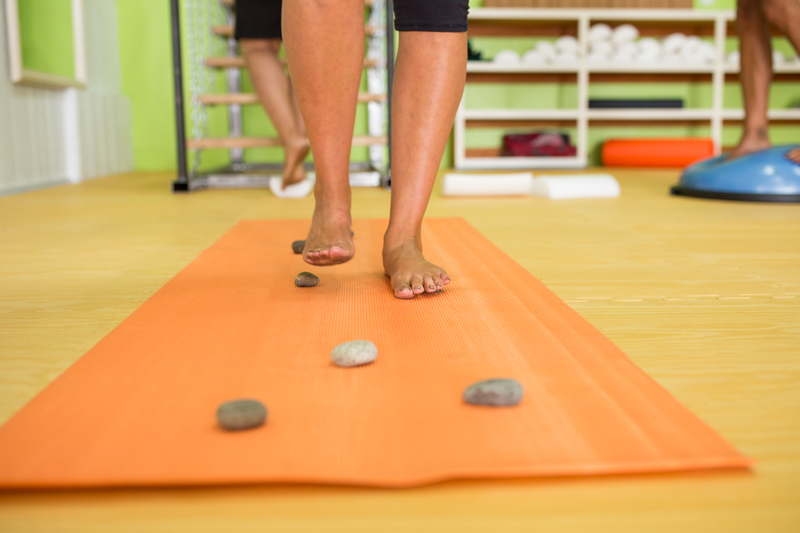 Listen to these episodes of the Move Your DNA podcast: Whole Body Barefoot, All About The Base Part 1 and Part 2. 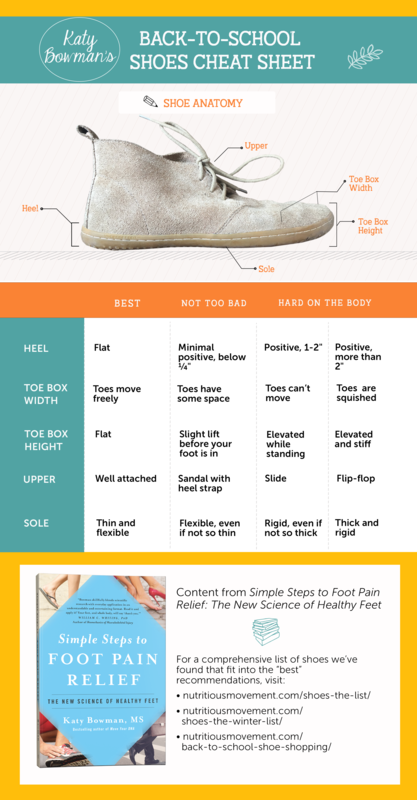 Read both Simple Steps to Foot Pain Relief: The New Science of Healthy Feet and Whole Body Barefoot: Transitioning Well to Minimal Footwear. They make great grow-up textbooks for fall. After all, getting educated is for everyone and learning about yourself always pays off. Fine, if you don't want to read the entire book, you can check out this cheat sheet to help you. EVERYONE KNOWS that the notes aren't the same as the book, but until they make my foot books into a movie, it might have to suffice. You're welcome.